Putting your shop on sale during holidays and special days of the year, can help in winning more sales and increasing your bottom line. Our Sale Manager feature is a robust and easy-to-use tool, that is offered with no extra cost! Here you can learn how to set up and manage your sales events, what options are available for you and how discounted items look like. 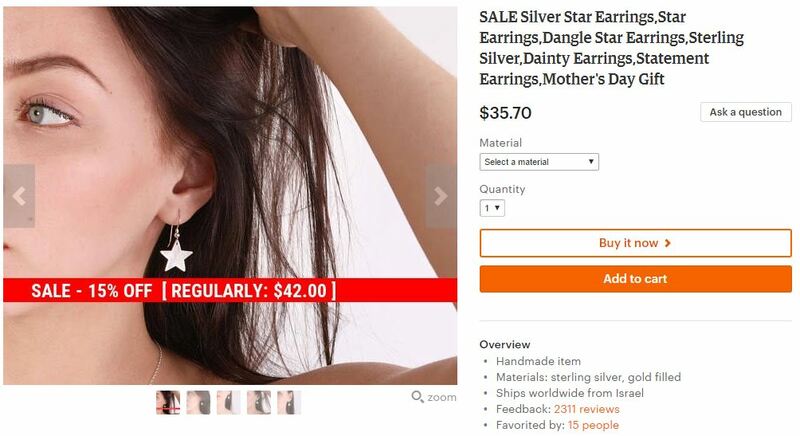 Your Shop: How do your discounted items look like? Running a sale event does not increase your Etsy bill. Sales events can be scheduled in advance to any future date and can run for up to 30 days. You can choose what shop sections to include in the sale. You can choose what items to exclude from the sale. You can choose where the banner will be positioned on the image. You can stop a sale event once it is active. Our system will then start reverting back the prices and titles of the discounted items. The banner we added will be removed and the original image loaded. Stopped events can be restarted. While a sale event is active, you can extend its end date. When setting up a sale event, you can request to receive an email alert when a sale has started or ended. When setting up a sale event, you can request to receive text messages to notify you when a sale has started or ended. 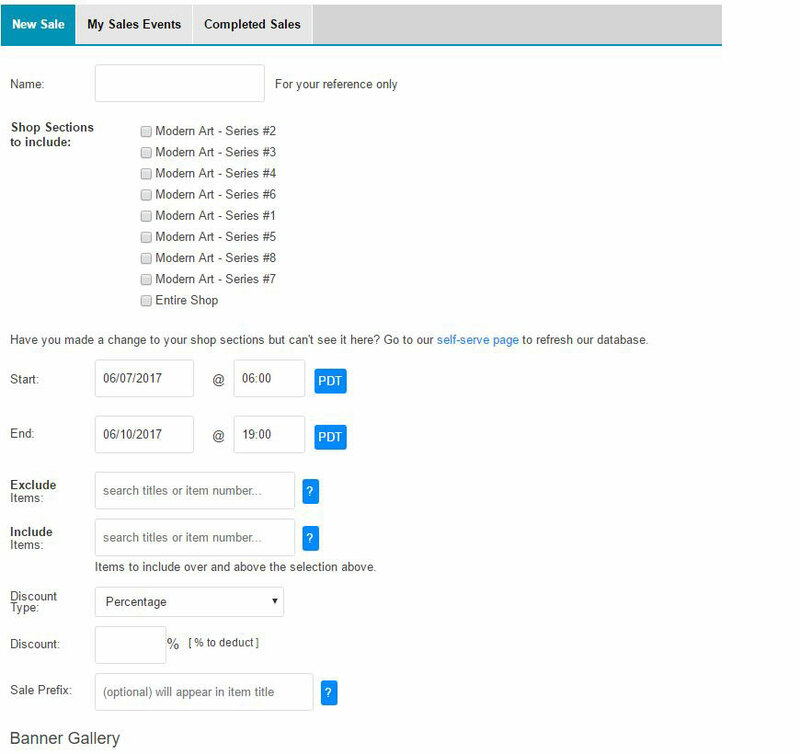 Step 1: Click the 'Create & Manage Sale Events' to View the Setup. Step 2: Choose the shop sections to include, dates, discount and call-to-action banner and its position on the image. Step 3: Click the 'Schedule Sale Event' or the 'Start Now' button. Choose the 'Create & Manage Sales Events' tab to view your pending and active sales. Here you can edit or delete sales events that did not start yet and extend or stop active sales. The price of items that participate in a sale event is reduced based on the discount you have set. If you have decided to add a call-to-action banner, it will be added at the position you chose, and will also help distinguish your items from other search results. You can choose where the banner will be positioned on the image: above image, on-top, middle, 3/4 down or bottom.